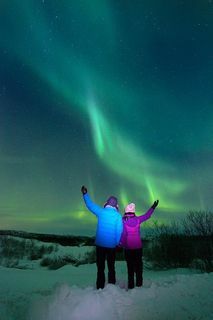 Let us take you away from the city to see the magical dancing Northern Lights. Learn more about this rare phenomenon and capture some awesome photos! This 3-hour tour includes transportation, guidance, storytelling and hot sausages by the campfire. 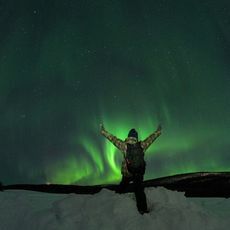 Learn about Nordic myths and see the colorful lights fire up the sky. 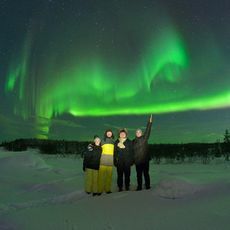 The best time of the year to see the Northern Lights in Finland is between September and April. 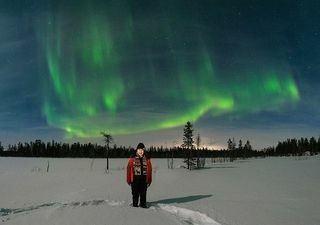 In Lapland, you can see the lights for 200 nights a year. Contrary to popular belief lights appear in autumn and spring, even summer too, but you can't see them unless the sky is pitch black. 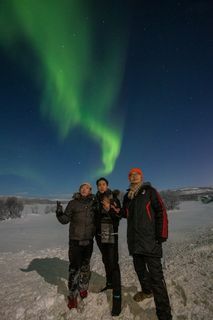 That's why we take you on away from the city lights to see the majestic Aurora light show. Aurora hunt lasts for 3 hours. We'll pick you up from your hotel in Rovaniemi and take you to our secluded country location where we'll sit by an open fire and wait for the lights. Snacks and drinks are included, so help yourself to sausages cooked on the open fire and recuperate with some hot tea. In a cozy atmosphere by an open fire, you will learn more about the Northern Lights, why they appear and learn about ancient Aurora legends. 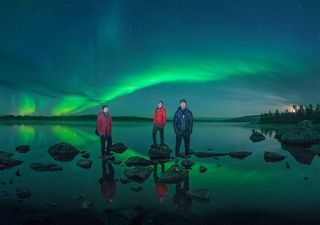 The most popular myth in Finland involves the story about a fast Firefox that ran so quickly its tail sent sparks into the sky creating the Northern Lights. Others say that the lights appear in the sky whenever the whales splash water. 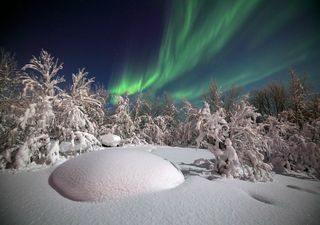 Find out more about these Nordic myths as you wait for the lights to start swirling in the sky. 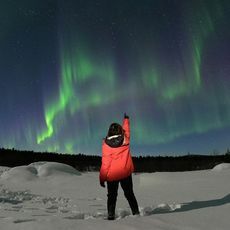 Please note that Aurora sights are not guaranteed. 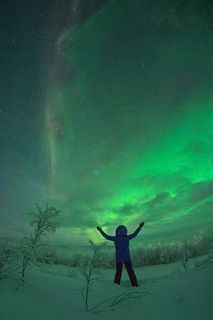 Even when the solar activity is right and the timing is perfect, we still need to be lucky to see the lights.